uniqueegs has no other items for sale. 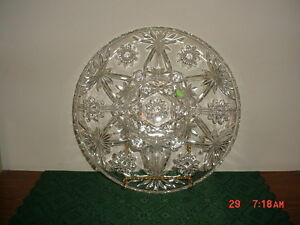 Details about ANCHOR HOCKING "STAR OF DAVID" 13 1/2" DIVIDED DISH/SCALLOPED/AS IS/FREE SHIP! ANCHOR HOCKING "STAR OF DAVID" 13 1/2" DIVIDED DISH/SCALLOPED/AS IS/FREE SHIP! Free shipping on orders over $95.00 when you buy uniqueegs's other eligible items, and use the cart to make your purchase. Please wait for invoice for total purchase price with shipping costs! Check out all of my new and clearance items in my eBay Store! Thank you!